Himachal Pradesh is bordered by Punjab on the West, Uttar Pradesh on the South, Jammu and Kashmir on the North and Uttaranchal on the East. There is no dearth of tourist attractions in Himachal Pradesh. Whether it is families planning a holiday in Himachal Pradesh or for newlyweds planning their honeymoon in Himachal Pradesh, the state is one of the most visited tourist destinations of India. Shimla is the capital city of Himachal Pradesh, known as queen of Hill stations all over the globe and attracts large number of visitors. Shimla is surrounded by buildings in Victorian style, a green meadow and charming hill slopes which make it one of the most tourist attraction places in Himachal Pradesh. Newly married couples can visit the place and capture the best holidays of their life by visiting some famous places like Rohtang pass, Vashist Hot Spring and Solong Valley. 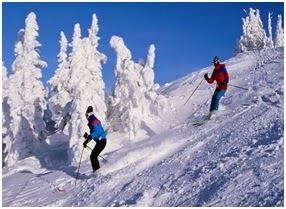 Adventurous and enthusiastic Couples can go for trekking, golfing, ice-skating and Mountain climbing. Adventurous and enthusiastic Couples can go for trekking, Mountain climbing, ice-skating and golfing. Summer in the region starts in the month of March and lasts till end of June. 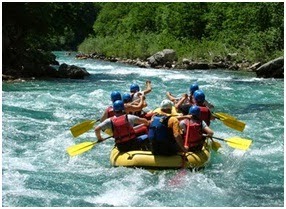 It is the best time to visit Manali if you want to enjoy rafting, paragliding and mountain sports in Solang Valley. Temperature ranges from 10°C to 25°C and the weather remains pleasurable during the day and amazingly cold during the night. Snow can be watched only at very high altitudes. The tremendous natural contrasts, the hallmark of Himachal Pradesh are its most strikingly beautiful lakes. The following are the list of beautiful lakes Bhrigu Lake, Chandra Tal Lake, Dal Lake, Nako Lake,Gobind Sagar, Manimahesh Lake and Rewalsar Lake. 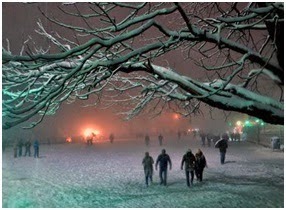 tion, Khajjiar Hill Station, Manali Hill Station and Shimla Hill Station. The breathtaking landscape, rare species of birds, animals and a range of adventurous activities make Himachal Pradesh enchanting and thrilling. These are home to a wide range of flora (3295 species) and fauna. Some more best tourist attractions are Nature Park Gopalpur, Churdhar Wildlife Sanctuary, Great Himalayan National Park, Pin Valley National Park, Nature Park Kufri Sanctuary and Nature Park Manali.